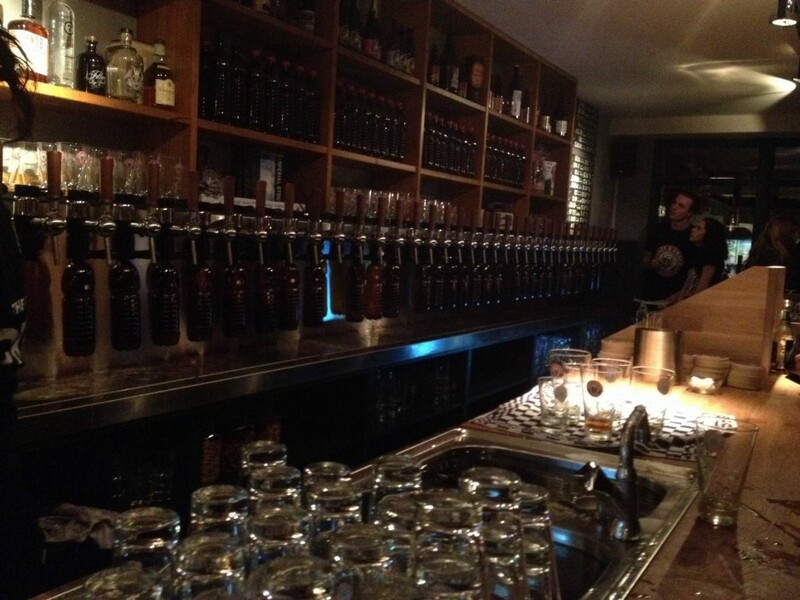 What is globally referred to as the “craft beer revolution”, seems more like an explosion these days in Amsterdam. A steep increase in the number of microbreweries, local craft beer in cafes that hardly served anything except pilseners and Belgian brews for decades, plus a growing demand for other novelties that seems almost impossible to satisfy. Despite this promising environment, the opening of Craft & Draft seems a bold move. With no less than 40 taps, this new craft beer bar and shop easily surpasses the more established places in town. Furthermore, it’s not as centrally located as Amsterdam’s best known craft beer spots. Out on the far end of the Overtoom, this would already seem a risky location for opening something like a more conventional bar. Doomed for failure then? Seems not. The driving force behind this endeavor is Peter van der Arend, a guy endowed with a talent to turn seemingly shaky prospects into smashing successes. He was ridiculed when he opened Proeflokaal Arendsnest, a bar exclusively pouring Dutch craft beer, but turned it into an acclaimed hotspot. A similar story could be told about his American BeerBar Beer Temple, which might be credited as the place where Amsterdammers learned to appreciate the then mostly unknown American styles. This, and the fact that the rainy opening night of Craft & Draft was so well attended, gives us hope. The assortment hidden behind that intimidating row of 40 blinking, chrome taps is as diverse as it is mouthwatering. It’s a rich mix of local and international beers, the last ranging from Denmark to Belgium and across the other side of the Atlantic. 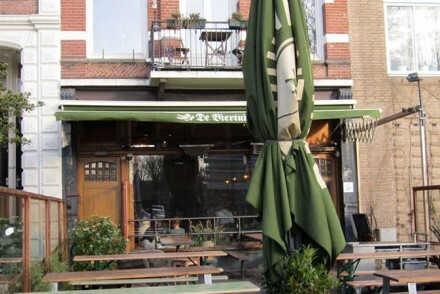 It might not be as close to Central Station as tried and tested favorites like Arendsnest and In de Wildeman but it is well worth to choose for public transport here and opt for about 20 minutes on tram number 1. If need be, you can clear your head in the lovely, adjacent Vondelpark afterwards.